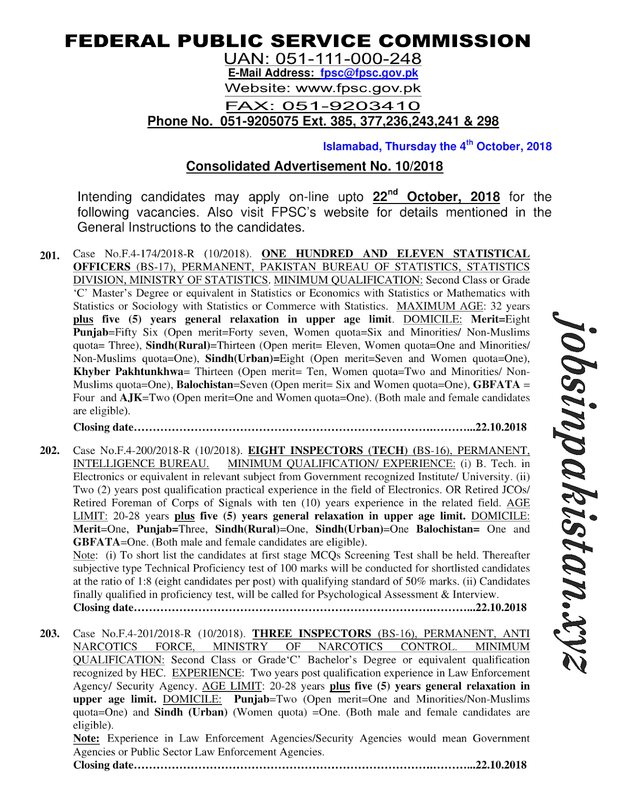 FPSC Jobs October 2018 is listed below in our site. 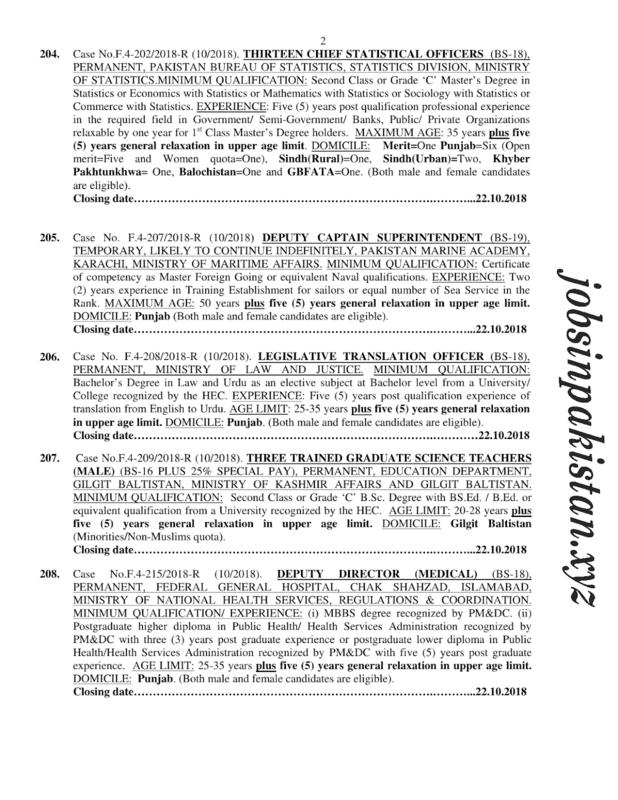 The advertisement for "FPSC Jobs October 2018" has come on newspaper of 06 October 2018. 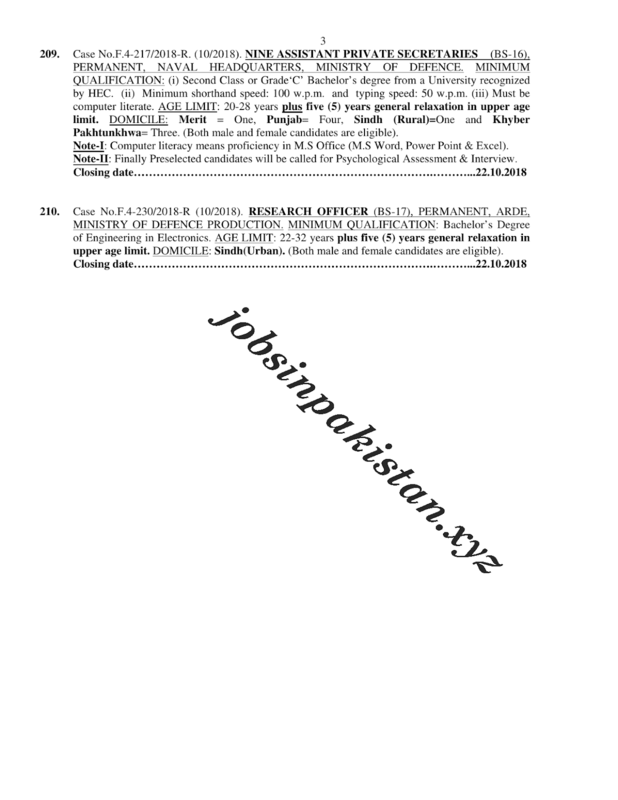 The last date for submitting of application form for "FPSC Jobs October 2018" is 22 October 2018. 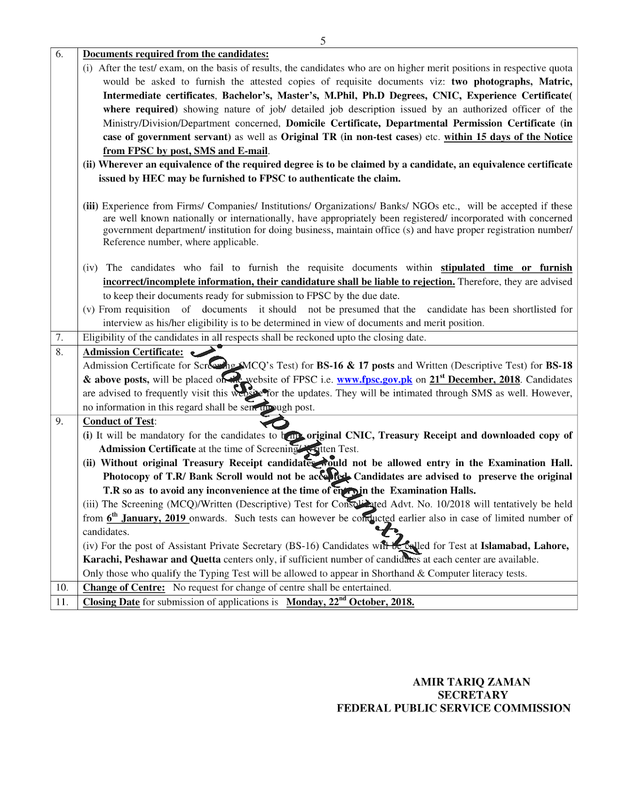 Applications forms are available on Federal Public Service Commission official website for "FPSC Jobs October 2018". 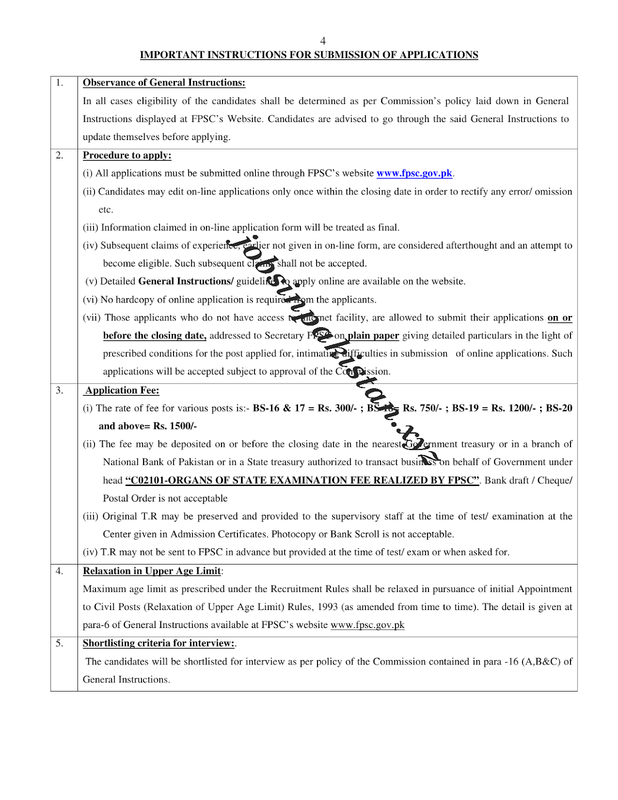 Federal Public Service Commission (FPSC) of Pakistan requires a applications for following jobs.